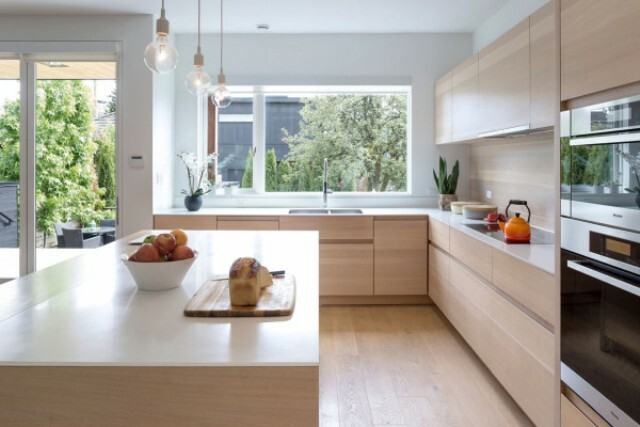 While its façade is unmistakably modern, the Pink House was designed with sensitivity by Scott Posno Design to the other houses in Vancouver’s Mount Pleasant neighborhood. 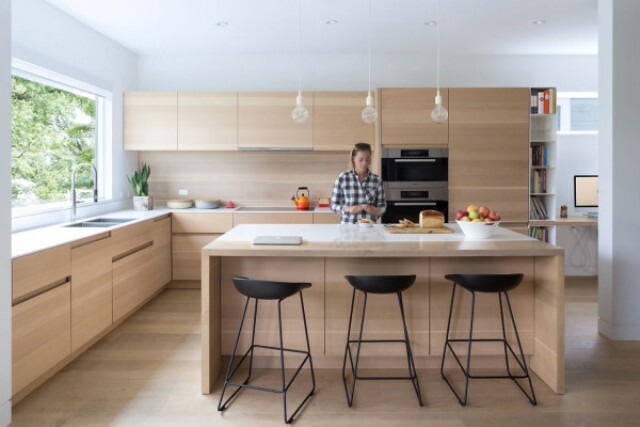 The single family home manages to fit 3,000 square feet into its design, despite the face that the front elevation doesn’t overwhelm the houses beside it. 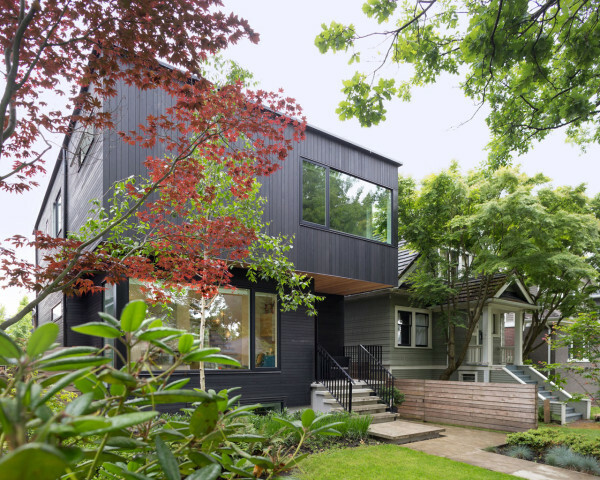 The house is clad in thin strips of black stained cedar that were installed horizontally on the ground level and vertically on the second story, which cantilevers out adding to the design’s sculptural feel. 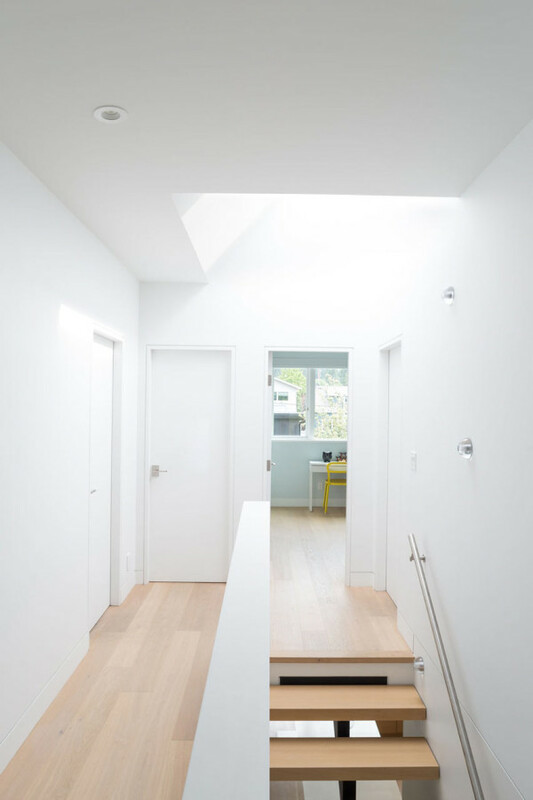 A recessed entryway is covered by the second story and creates an additional break in the facade’s spatial planes. 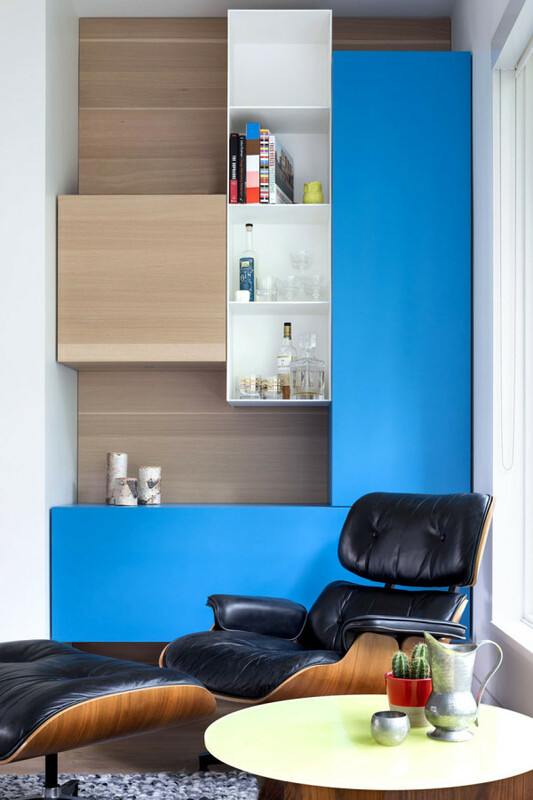 Inside, the color palette lightens up, directly contrasting the black exterior. 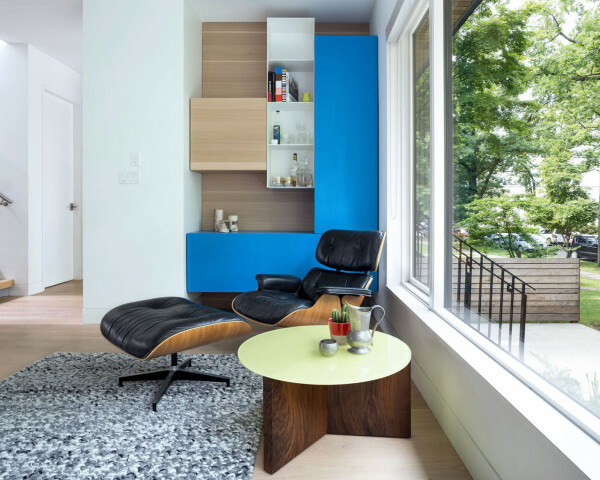 White oak floors, custom millwork, and white walls are the foundation for the modern interior that’s interspersed with moments of color. An open floor plan gives the illusion of more space on the ground floor, which contains the kitchen, dining room, and family areas, along with a living area that’s separated by a wall with a three-sided fireplace. 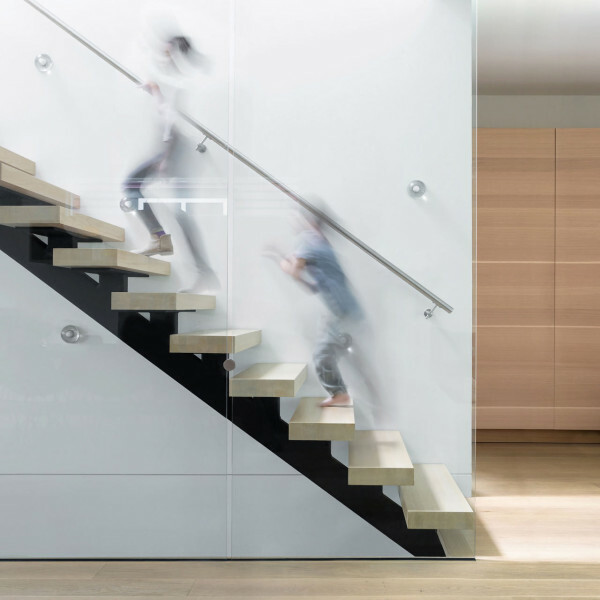 Panels of glass keep the floating staircase open while adding safety to the exposed side. 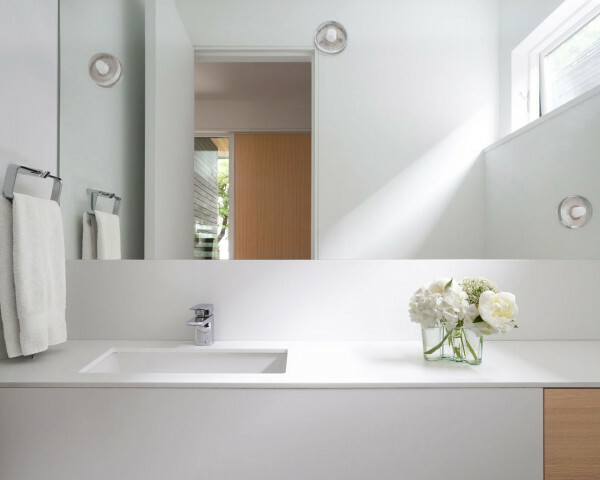 A skylight brings natural daylight into the interior giving it a more open feel. 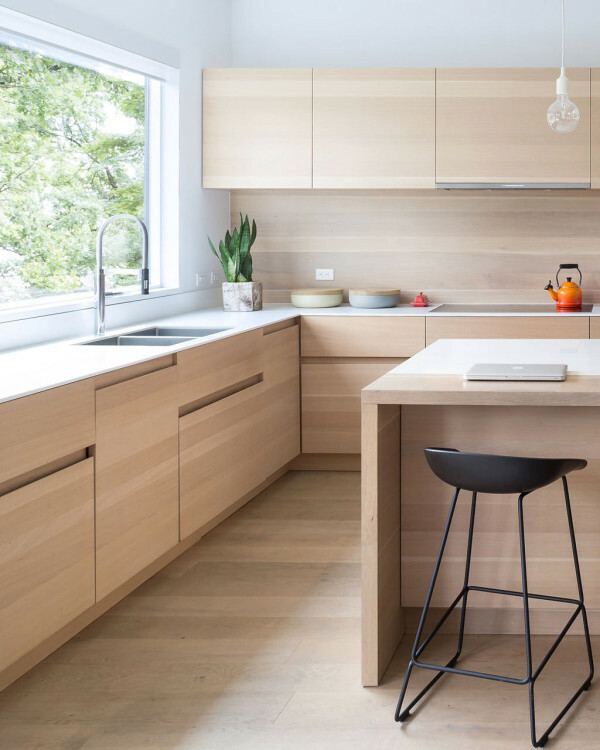 To my mind, the most eye-catchy space here is the kitchen: it’s fully made of the same oak as floors and looks uncluttered and minimalist.